Once consumers understood the benefits of eReaders, the idea of switching from printed paper to electronic books took off. They could store thousands of books in a lightweight device, read indoors or outdoors, change the size of the text and find new books without having to drive to the store. Tablets allow consumers to not only read books but also surf the Internet, play games, listen to music, and watch movies anywhere they go. The devices are also lightweight and have the ability to store thousands of books, but now they include the benefits of a computer that people can carry with them. 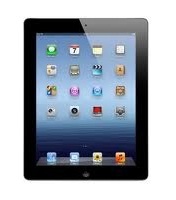 Originally released in 2010, the iPad was never intended to compete as an eReader. It is loaded with features that emphasize Apple’s strengths for delivering a robust multimedia experience with an intuitive interface. The screen is approximately 2” larger than competitors, providing a better viewing experience for videos and games, and the most recent release touts the best display among its competitors. It also includes a 5-megapixel camera and the ability to record high-definition video and comes with a microphone and a user-facing camera so that users can enjoy videoconferencing wherever they are. It has features such as a gyroscope and accelerometer that allow for a smooth gaming experience as users move the device like a joystick. Apple included a strong battery so that users can surf the Internet or watch movies for up to 10 hours on a full charge. Most people when they first get an iPad will use Apple’s own eReader app called iBooks to download books which is easy to use and looks good. There are other apps, the most popular being the Kindle app to download from Amazon. There’s also the Barnes & Noble app, Kobo app and Stanza app among others. It comes with a hefty price tag starting at $499 for the new version, and because of its size, it is more suited for reading magazines than books. That may change if as rumored Apple releases the mini iPad. The Nexus 7 is built with the latest version of the Android operating system (os) and has a great looking 7” IPS touchscreen with a 1280 x 800 resolution. The screen is almost on a par with the iPad 3 and that is saying something. It features a Nvidia 1.2GHz Tegra 3 quad-core processor that offers similar speed and performance to the iPad (faster than it’s main 7″ rivals such as the Kindle Fire, Nook tablet & Kobo Vox). Along with a 12-core Nvidia GPU and 1GB of RAM. It includes a 1.2-megapixel front-facing camera and a microphone, allowing users to enjoy Google Hangouts and videoconferencing, and it includes a gyroscope and accelerometer for gaming. The battery compares well with it’s rivals, offering 10 hours of browsing or 9 hours of video on a full charge. It is also the lightest of the 7” tablets at about 12 ounces. Consumers who aren’t as interested in taking pictures with their tablets can get many of the iPad’s features from the Nexus 7 at half the cost. The 16GB version retails for $249.99, and the 8GB version is $199.99. It uses Google’s Play ebook reader and has clients for Kindle and other platforms. The Kindle Fire was Amazon’s first formidable challenge to the iPad when it was released in 2011, but it played to Amazon’s strengths as more of an eReader with multimedia functionality. It uses a 7” screen with a standard 1024 x 600 pixel resolution display. 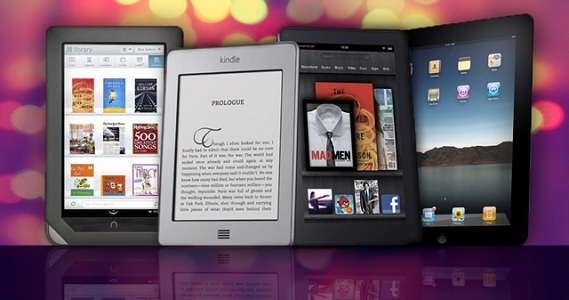 It is unique in that it uses features only available through Amazon, such as its cloud-based Internet browser that is designed to load pages faster, the ability to store books, videos, and apps at no cost in the Amazon Cloud, and access to the “Kindle Owners’ Lending Library” through the Amazon Prime service. It has a weaker battery than competitors, allowing for less than 8 hours of video on a full charge. The main reason to consider the Kindle Fire is to take advantage of Amazon’s unique services, and it retails for $199.99. B&N challenges Amazon directly with the NOOK tablet in its bid to maintain its leading reputation as a bookseller. The NOOK tablet has the same display features as the Kindle Fire, but B&N invested in a better viewing experience for users whether they are indoors or outside with its VividView technology. The NOOK tablet also includes a unique “NOOK Kids” feature with interactive children’s books and the ability for adults to record their own narration so that kids can enjoy books when their parents aren’t around. Its battery allows for 9 hours of video on a full charge. Consumers would consider the NOOK tablet if they enjoy what B&N offers traditional readers, such as expert recommendations and exposure to new authors, as well as the flexibility of having a physical store nearby where they can get support in person. B&N now offers the 8GB version for $179.99 and the 16GB version for $199.99. Kobo is a lesser-known competitor in the eReader market, primarily sold in Borders stores and serving as an alternative to the NOOK. 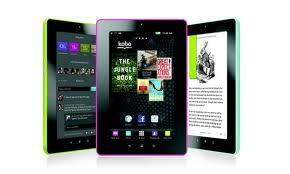 The Vox is Kobo’s 7” tablet that was released in 2011, offering similar features as the NOOK tablet and Kindle Fire. Knowing that it can’t compete in terms of multimedia features, the Vox differentiates itself through the concept of social reading. Using a unique feature called “ReadingLife”, it turns it into a collaborative event in which you can share comments about your favorite books and passages with other readers. Users can track their reading activity, post directly to social media sites, and earn awards based on their reading prowess. It also features a wide viewing angle to support shared reading. It comes with a weaker processor and battery life than competitors, emphasizing its focus as an eReader. 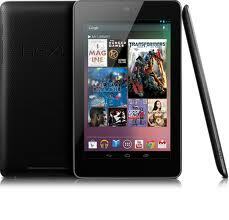 The Vox prices in the same range as the NOOK tablet at $179.99 for 8GB of memory. Discounting the iPad for now (at least until the mini version is introduced) as it is in a totally different price range, how do the 7″ tablets compare to eReaders? With the recent price cuts, they have a lot going for them. They have high resolution color touchscreens which look great, especially the Nexus 7’s. They have more features and offer a great multimedia experience allowing you to watch videos, surf the net quickly, use the built in camera and take advantage of the faster processor and GPU. They also have the ability to download and read ebooks in super quick time. Most of the tablets have the ability to download from all the leading stores such as Amazon’s, providing for a similar reading experience no matter which tablet you choose. Finally their size is just slightly bigger than ereader’s typical screen size of 6″ so they still super portable and with their backlit screens you can even read in the dark , something not possible on eReaders unless you buy Barnes & Noble’s new Nook Simple Touch with Glowlight or buy an add-on light accessory. So, on the surface they have a vast amount of advantages over standalone eReaders. They do however some disadvantages when talking just about their ability for reading. Their major disadvantage is when reading outdoors or in a brightly lit room. The screen technology they use is reflective so you get some glare, some tablets such as the Nook handle this better due to it’s VividView technology, but it still isn’t as good at reading outdoors or in a brightly lit room as eReaders are. Another disadvantage is that after reading too long on tablets you can get some eye strain, it’s just not quite as good a reading experience as on an eReader. eReader’s eInk technology offer a strain free experience similar to that of a physical book. The final disadvantage is battery life. The battery life of eReaders are far longer than that of tablets. My recommendation would be for very light readers to get a tablet, they really offer great value for money and are fine for short bouts of reading. I would lean towards towards the Nexus 7, but this article is not a review of tablets so please do your own research. For serious readers however, I would suggest an eReader. The reading experience is better, you can read it outdoors or in brightly lit rooms with no problem and the battery life is excellent so no fear of the battery dying mid sentence.